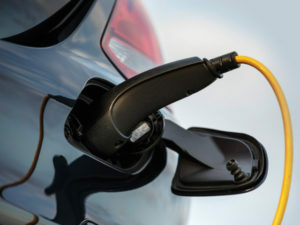 Almost three quarters of ultra-low emission vehicle registrations last year were plug-in hybrids (PHEVs), according to SMMT data, and awareness and interest among businesses and drivers continues to grow. However, it’s a part of the market with limited and often conflicting information; a tax-efficient stepping stone to electric vehicles, but a technology often criticised for unrealistic fuel economy and CO2 data. The results of ALD Automotive’s own survey showed 32% of company car drivers were interested in plug-ins, but that they wanted more data before committing to a PHEV. So, last year, the leasing company launched a six-month trial to find out whether these vehicles could offer an alternative to a diesel vehicle – with a view to sharing the data, even if it proved to be negative. The trial deployed 20 Mercedes-Benz C 350 e petrol PHEVs with ALD’s company car drivers, each with different weekly mileages, journey types and driving styles, to assess a variety of use cases. All cars were fitted with ProFleet telematics to monitor performance, and participants were helped to apply for home charging points. As some had never driven a PHEV before, ALD provided training to help extend the range and in the use of regenerative braking, and a leader board was put in place to encourage more fuel-efficient behaviour. This produced some encouraging results. The fleet covered a combined 145,000 miles, saving 14.8 tonnes compared to an equivalent diesel. In the latter half of the trial, more than 50% of miles were driven on battery power. ALD’s data showed fleets could save £2,000 per vehicle in ownership costs, based on 15,000 miles per year, while driver league tables and familiarity with the technology contributed to a 4% uplift in average fuel economy during the first month. Unsurprisingly, there was a huge variation between drivers, highlighting the importance of deploying PHEVs effectively. One of the higher-mileage drivers (19,000 per year) averaged the lowest fuel economy, at 33.73mpg, compared to 110.54mpg for the best-case driver (7,000 miles per year). However, the biggest fuel savings were found in the mid-range. Drivers covering 14,000 miles per year c­ould save £500 annually compared to an equivalent diesel, which is more than twice the £200 savings made by those with a 7,000-mile yearly usage. Whole-life costs (based on 15,000 miles per year) were up to £2,000 lower, per vehicle. Matt Dale, ALD’s consultancy services manager, says this shows PHEVs can already be an effective alternative to a diesel vehicle, reporting cost savings for drivers covering anything up to 20,000 miles. That’s in addition to £6,000 savings in Benefit-in-Kind for drivers. The company will soon issue a white paper on its website, with a step-by-step guide to assessing the technology’s suitability for different fleets.